I have only to step from my door to be greeted by the singing trees, the chattering and swooping swallows. I walk along roads the wild grasses are slowly and steadfastly reclaiming. I soften my focus and see the dance of conscious pattern. I pause on my walk to pick up a stone that catches my attention. I feel its weight and warmth as I hold it in my palm and close my fingers round it. It has taken thousands of years for this stone to be what it is and where it is. I return it to its place. 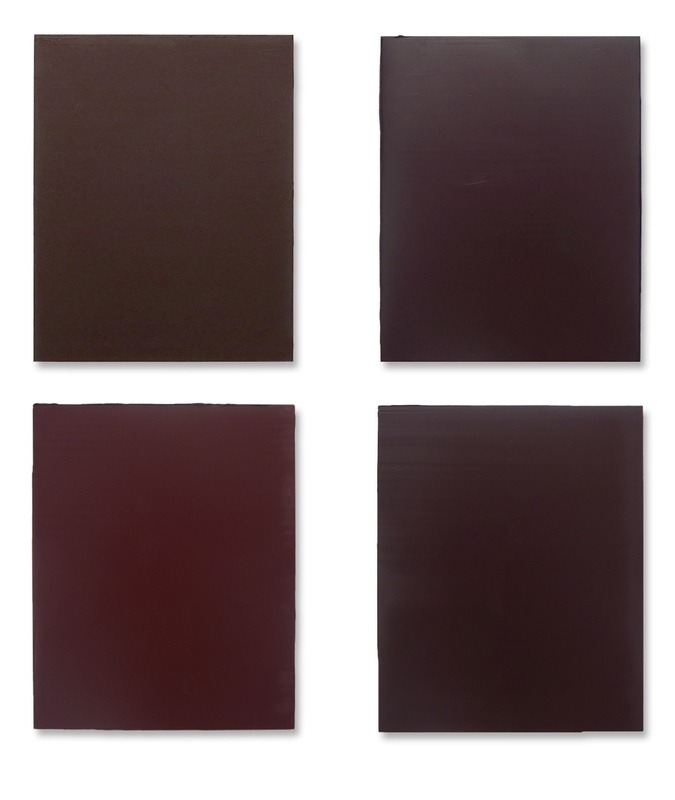 Four paintings about Stone (2014-2015). Left to right, top to bottom: Khthon, Caesura, Hematite, Fugue. Each 15 x 12″, oil on wood. Not just thousands of years, but in many cases millions. Think of what they’ve seen. How they formed – in so many varied ways. Part of seas over and over again. Unearthed through erosion. A stone never belongs to us. We might borrow it. We may place it in a new place for we choose to admire it. But it is never truly ours and it will live on long after we are gone. Beautiful paintings – no stunning!!! They too will live on.